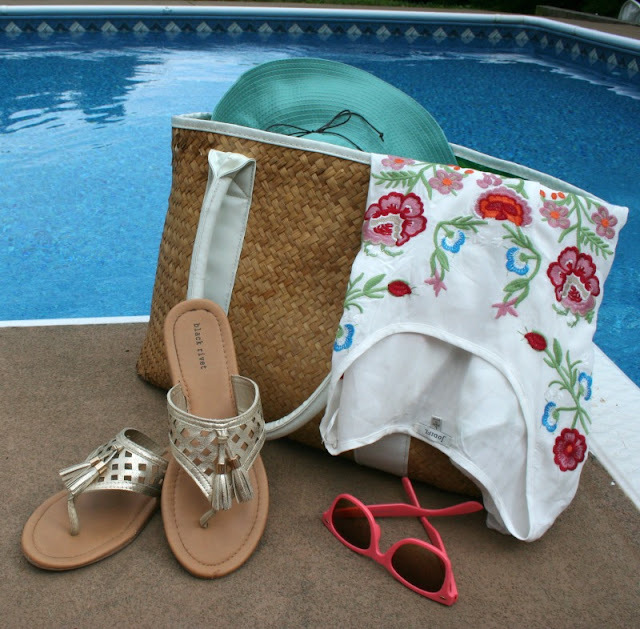 Summer is a time for soaking up the sun by the pool or ocean and staying cool. You can still be fashionable, while protecting yourself from the sun's rays with these cute pieces. 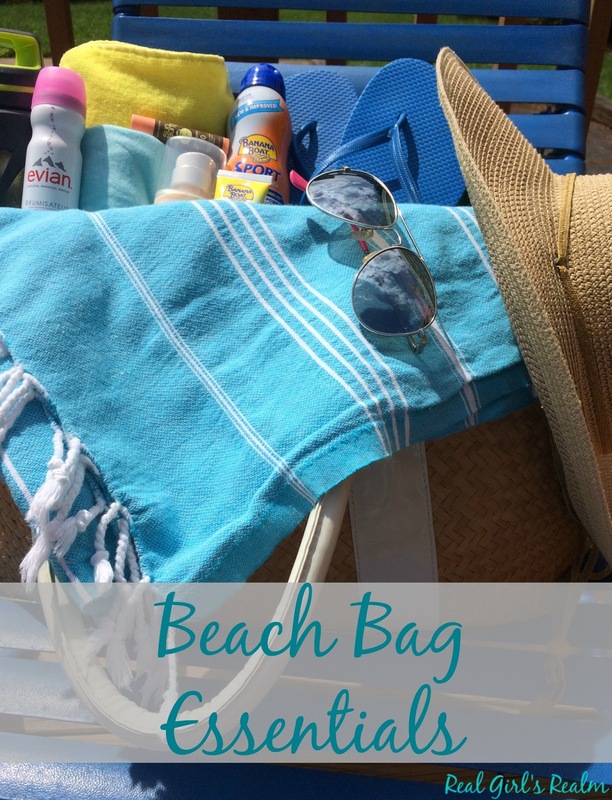 I enjoyed some time away at the beach recently and these are the items I can't live without! Floppy Hat: A few years ago, I would not have been caught dead in a floppy hat, but now that I am older and wiser, I want to protect my hair and face from the harsh sun. There are so many cute options now, like this one from Aventura Clothing. 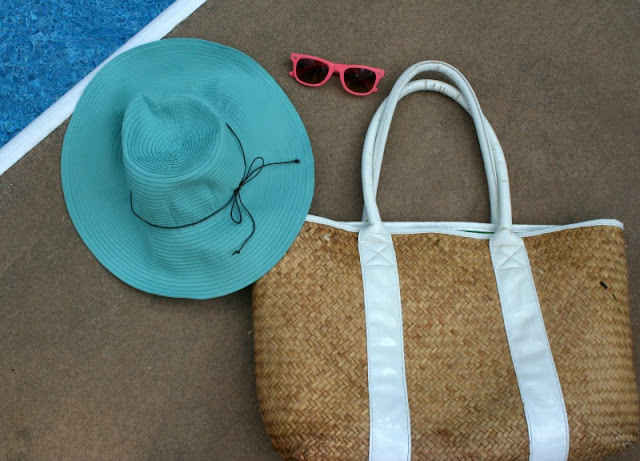 Large Straw Tote: I picked this straw tote up years ago at Target and it has held up surprisingly well. I can fit all my beach essentials in it, like towels, reading material, sunscreen, and beach toys. 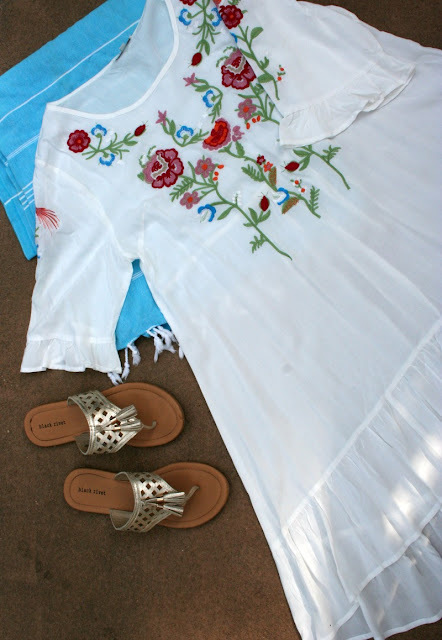 Embroidered Cover Up: I love having a cover up that can also double as a sundress or tunic top so I can go from the beach to dinner. Many times, we will grab something to eat at the cafe by the pool and I can just slip this on over my bikini instead of going back to the room to change! Slip On Sandals: The sand gets HOT at the beach, so I always pack a pair of slip on flats to wear over to the beach. Then I slip them on, along with my cover up to grab a bite to eat! This gold tassel pair from Wilson's Leather is my favorite this season! Bright Sunnies: It is also important to protect my eyes from the sun's rays, so I always pick up a couple of pair of plastic sunnies for $5-$10 in colors that coordinate with my swimsuits. I prefer the cheap ones, in case they get lost or broken in the sand and surf. 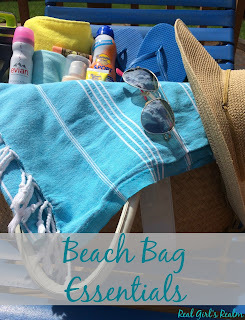 Want to see what I pack in my beach bag? Yes, we do have a pool and it is nice (when stuff is not breaking LOL) Thanks! I have started embracing the floppy hat the last couple of years! The sand DOES get hot and even the walkways! That embroidered top is adorable! I miss the beach already! The sand was ridiculous this year! I caould barely stand it touching me through the flip flops! I am loving the top too! 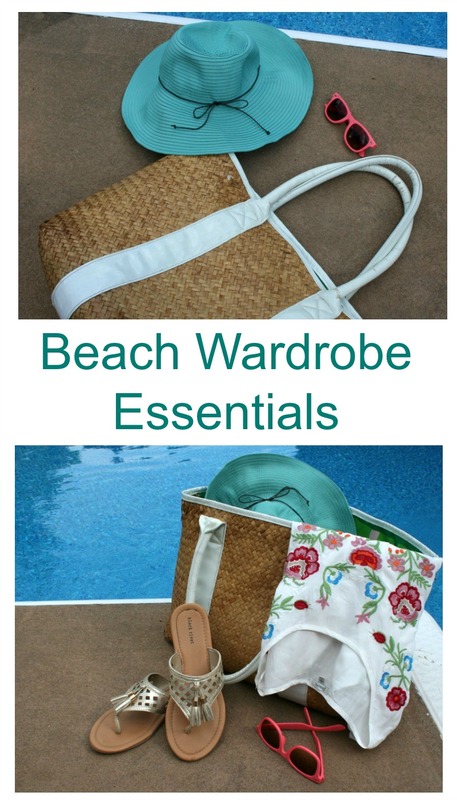 I love your beach essentials! Your embroidered cover-up is so cute! Its perfect for a cover up or to wear with shorts or leggings! You will be seeing more of it!